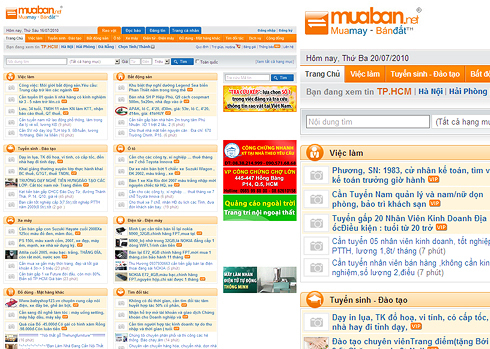 Mua&Ban is the leading private classified platform in Vietnam, operating a connected network of online websites, daily print classifieds, and mobile listing services. Its Muaban site is Vietnam’s leading online classifieds service with new 20,000+ listings daily. It is backed by the popular print classifieds “Mua&Ban”, which has a daily circulation of 80,000.